Submitted by mark on Monday, February 4th, 2013 at 3:58 pm. An estimated 15,000 people flocked to Ashburton’s East Street on Waitangi Day. 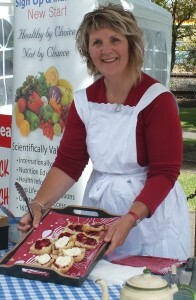 While Historic Places Mid Canterbury considered that most had come to sample our jammed and creamed scones, in-fact they had come to soak up the atmosphere, food, cultural entertainment and sun that the combined Multi Cultural Bite and Waitangi Day Market provided in the towns retail centre. Our stall certainly attracted large numbers of visitors. Many commented on our photographic boards titled ‘Lost Ashburton’. Sadly, we needed to make up a new board late last year in the aftermath of the earthquake damage. While one shouldn’t gloat, the demand and consequent selling out of our skilled committee’s home-made scones, not only raised funds for future projects, but show cased another of our many talents! Visit our stall site on East Street where we will be selling homemade jam and cream scones. 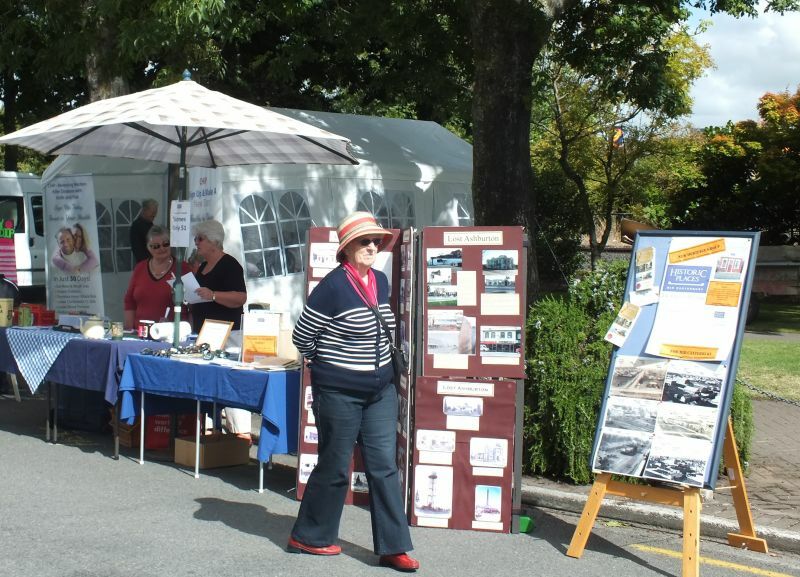 Our display will also showcase our ‘Lost Ashburton’ photograph boards, sell glass dug from the site of the local Glassworks, and other interesting booklets and information.